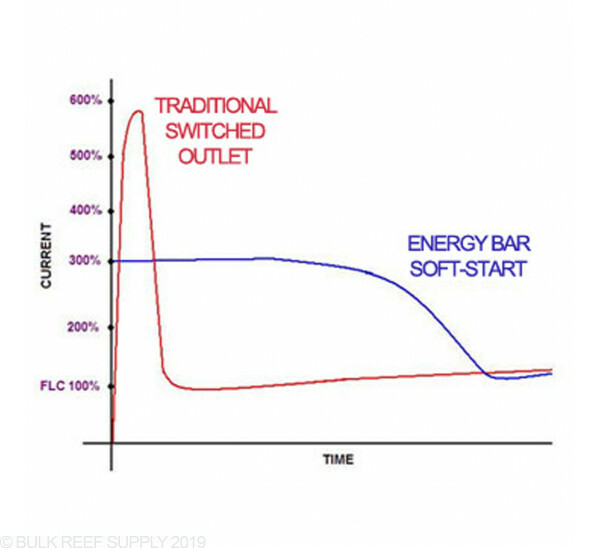 Add additional control to your Neptune Apex Neptune Systems Energy Bar 8. 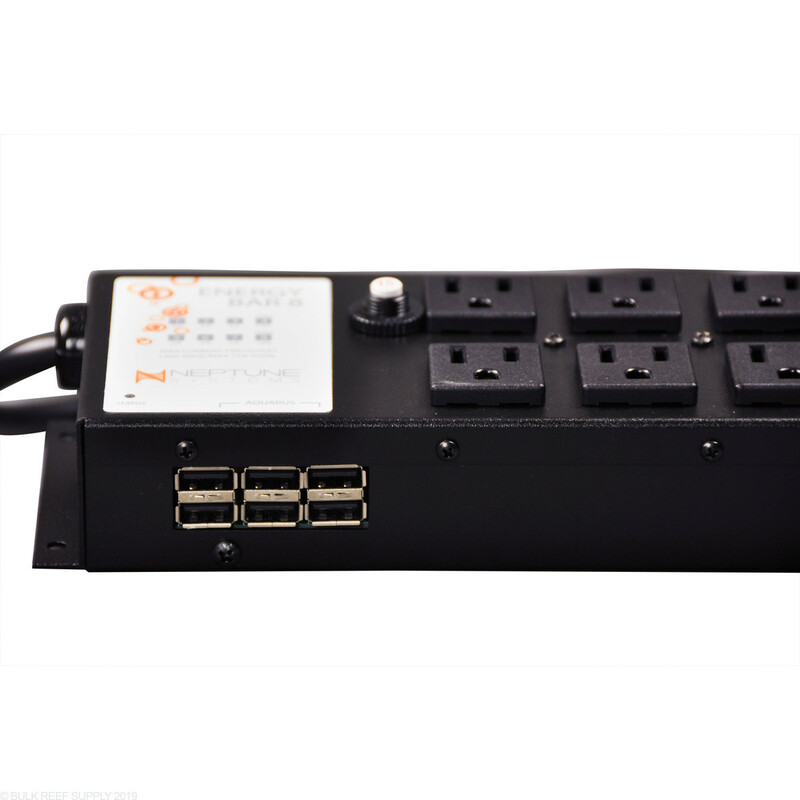 This is NOT just a power strip. Fantastic product makes this hobbi soooo much easier when u know guys it can get frustrating at times. Being doing this for 10 years and it makes my hobbie so much enjoyable! Have complete control of your tank anywhere your at.....my friends that's a plus for me. Ah, and then there is this funny condition they use in returns, they wanted a picture of my brand new EB8 . . . I've never seen a company that has less faith in their customers then Neptune. So all you people spending thousands of dollars on your hobby quit trying to pull one over on Neptune, they are on to you. This is the first Apex product purchased where I have not had issues within the first week of use and actually works as expected. The feature I like the most is the trending of amp usage. I purchased this to get additional controllable outlets, but ended up getting a lot more. 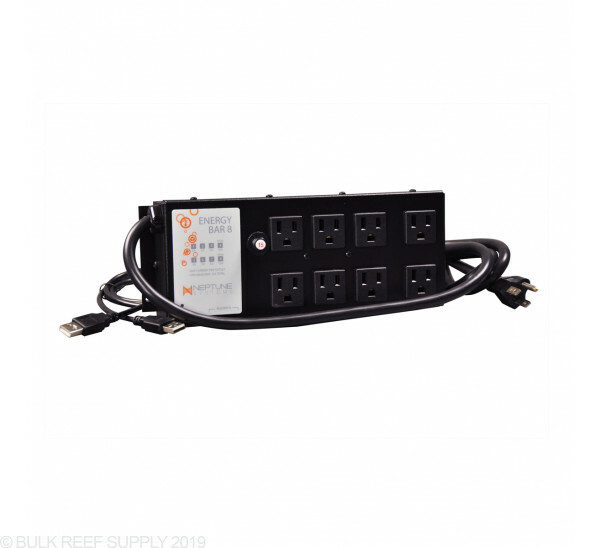 It gives 5 additional aquabus slots, 8 more outlets that are fully controllable, and the possibility to monitor AMP usage. Definitely a must have! This was purchased as a add on to my Apex system bought years ago. Super easy to add on, plug and play. Never had any trouble with EB8 bars. Unfortunately this is clearly designed for larger systems in mind. I wish it had the option/ came with more mechanical relays. I right now have a smaller system, for which I use smaller power heads and pumps for ATO. These all are such low wattage that they require the mechanical relays, which there are only two. So I'm buying an extra PMUP for the ATO instead of the Aqualifter that is using it now. 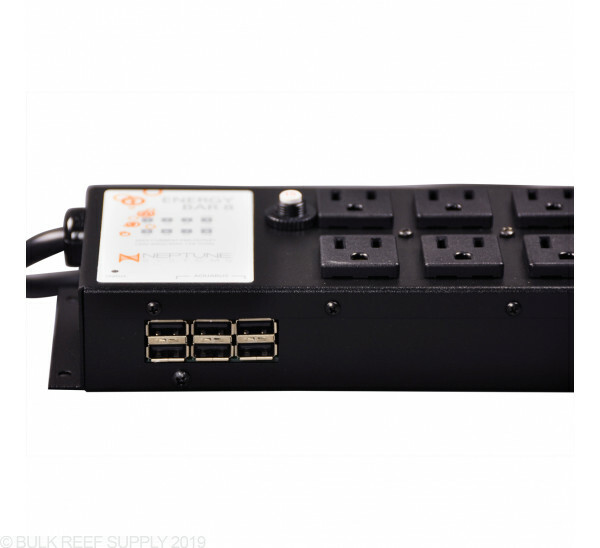 Added an extra outlets to your apex system. Plug it into you system and the apex comtroller will automatically add it to your system. Once added you can program each of the outlets to do whatever you like. I love my Apex and would recommend it to anyone, but here is an honest review of my experience with the EB8. My original EB8 melted down after 6 months of use. I am usually not one to mess with refunds so I immediately ordered a new one, overnighted, from BRS. The new EB8 did not work. None of the outlets would work, though it did power my other devices. I let BRS know and they referred me back to Neptune for service. I get their desire to do this and I am sure Neptune demands that their service people work with the customer, but it was still frustrating. BRS said Neptune had great service and would resolve the issue. Neptune cannot be reached by phone but were fairly responsive by email. But by the time several emails go back and forth many days pass before anything serious gets done. I could have spent less than 5 minutes on the phone rather than a week of Neptune trying to see if I am just mechanically inept over email. Eventually Neptune scheduled a phone call with me to trouble shoot the EB8. They didn't seem to believe the device could actually be broken and assumed it was operator error. After an hour on the phone they decided they couldn't figure it out over the phone and gave me a RMA to return the EB8 to them. I mailed it at my expense, a week later I get a message from them saying they had found the problem repaired it and it was on its way back to me. It is scheduled to be delivered on Wednesday, more than a month after my first contact with BRS. I guess the end result is good (we'll see how long the EB8 lasts now), but the turnaround is ridiculous. Thankfully I had nothing better to do this summer than wait on this long process, but in my opinion Neptune should have a no questions asked return policy during the warranty period, that should have taken about 3 days with an overnighted piece of equipment. I do love what the Apex offers though and will continue to support them with my business...but jeez. Seriously. Plug it in. Program it. Done. So simple it's scary. I have 3 eb8 and just ordered my fourth. Never an issue. The configuration of this system is amazing. Just added a second EB8 to my system ,linked up and programmed 8 more plugs with no issues.Nice to be able to control everything electronic .Great product just like all Apex products. The eb8 is a great product, the 6ft USB cable that is included could have been a bit longer. Does the energybar comes with a aquabus cable? Does the Neptune Energy Bar 8 come with everything included to get it up and running, or are cables, etc extra? The energy bar 8 is an expansion module for an existing Neptune Apex system. So assuming you already have the controller and the main parts there, you wouldn't need anything additional to add an energy bar 8 to the system. Will the EB8 work with the new Apex? The new 2016 Apex units are backwards-compatible with the EB8s, however the new EB832 cannot be used with the old Apex Classic units. Will this work with the older style Neptune AquaController Jr (before the Apex generation)? if not, do you carry an energy bar for the AquaController Jr.
Great question! The EB8 will work with the older style Neptune controllers. 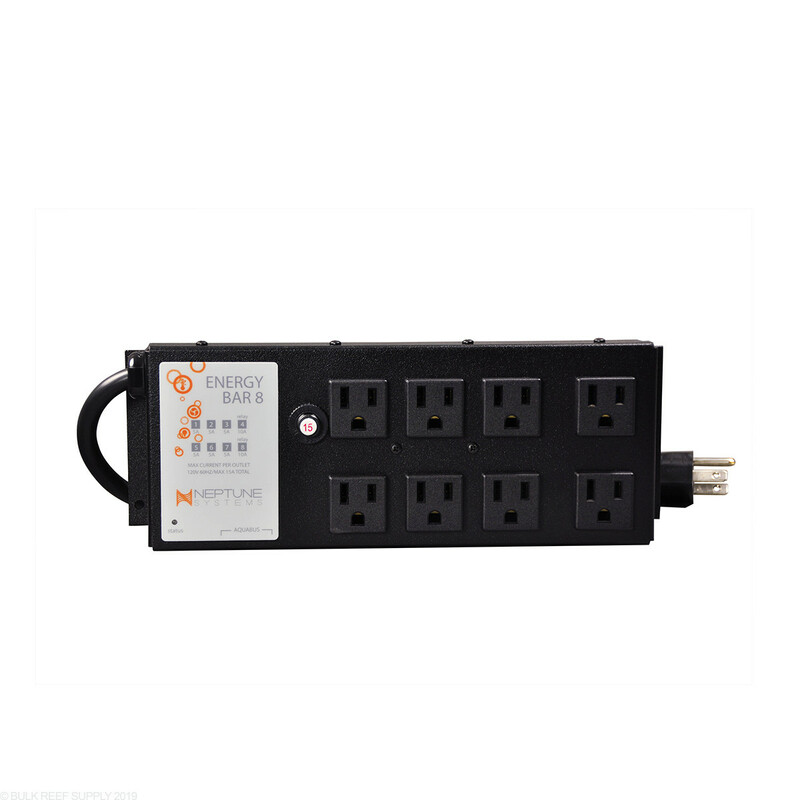 Is the EB8 also a surge protector? 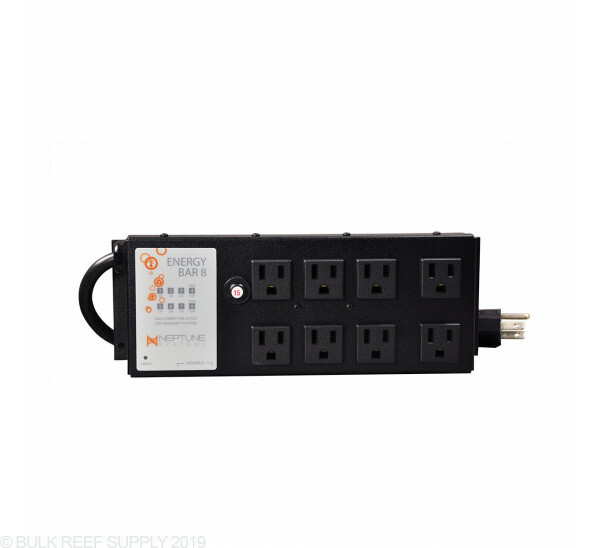 The EB8 does not offer surge suppression and you would have to connect it to a surge protected outlet to provide that protection. 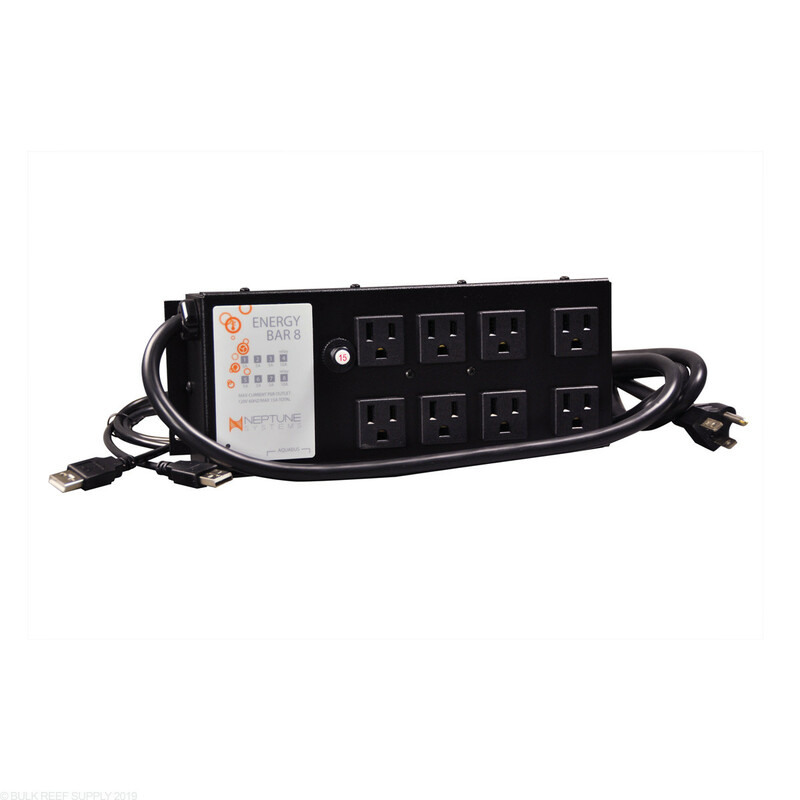 Does the EnergyBar 8 work on a stand-alone basis as a general power strip? 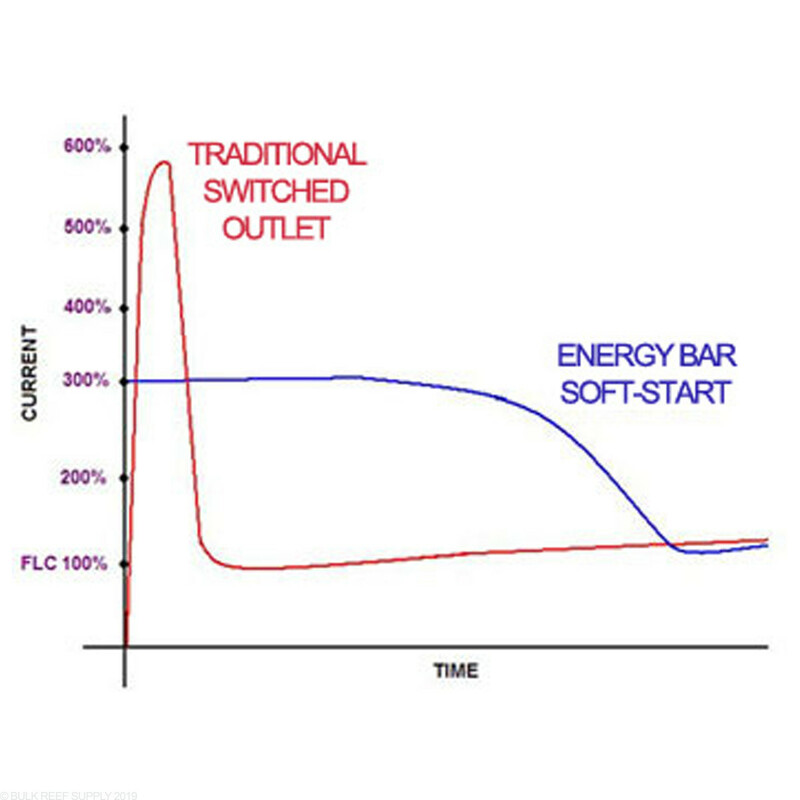 The power bar needs to be used in conjunction with an Apex and will not function without the system. Feel free to let us know if you have any further questions! Can I add this to a apex Jr ? This can be added through the Aqua Bus connection and will be counted as an additional module. Feel free to let us know if you have any further questions! Do you sell the European energy bar? We currently only have product for use inside of the US and Canada. Unfortunately we do not have international options available for products or shipping. Feel free to let us know if you have any further questions! How long is the aquabus cable that it comes with? This will come with a 6 foot cable. Feel free to let us know if you have any further questions!